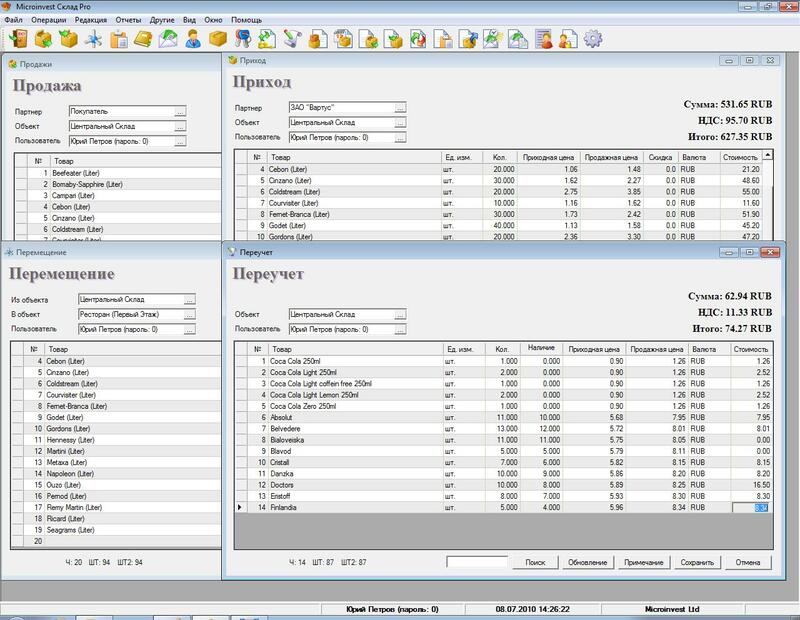 A simple but powerful program for use in stock in trade and food. It includes full functions with separate interfaces such as ront office and back office. In one program, 2 jobs for the manager and the seller. 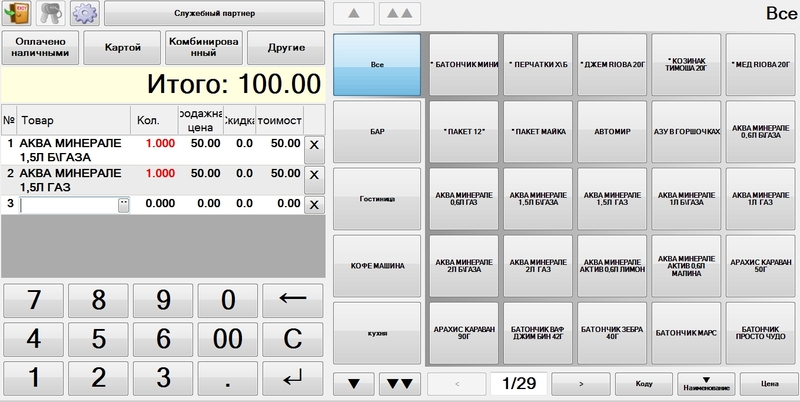 The interface of the seller is optimized for the touch screen. The program has the ability to connect a large number of equipment such as a cash register, printer, scales, barcode scanners. Documentation and support forum available. Licensed for life use, in the form of a USB key. The certificate is sent to the email.